The house is designed around a 2 storey central glazed staircase, with two distinctive elements, forming a frontage courtyard and entrance door facing the access road. The front block is open plan but with three distinctive elements to the external design, reflecting the internal spaces. The first floor has three bedrooms, which follow the broken facade, with the master bedroom and balcony projecting beyond the ground floor to form a significant element to the design. 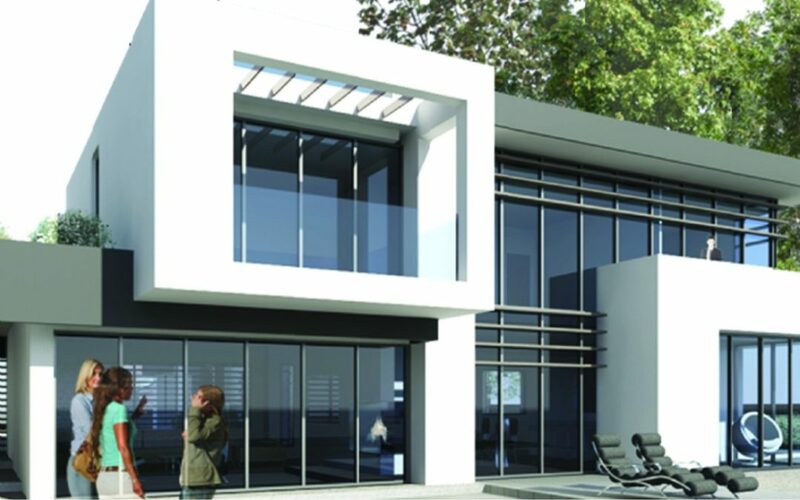 The rear block contains the single storey garage and utility areas with two bedrooms and en-suites to the first floor. This elevation is broken into elements of wall and glazing, with the introduction of timber louvred panels, to create individuality to the design elements. The overall mass of the building is broken by the elements of the building; the use of glass and white rendered walls, set in different planes from the glazed facades. 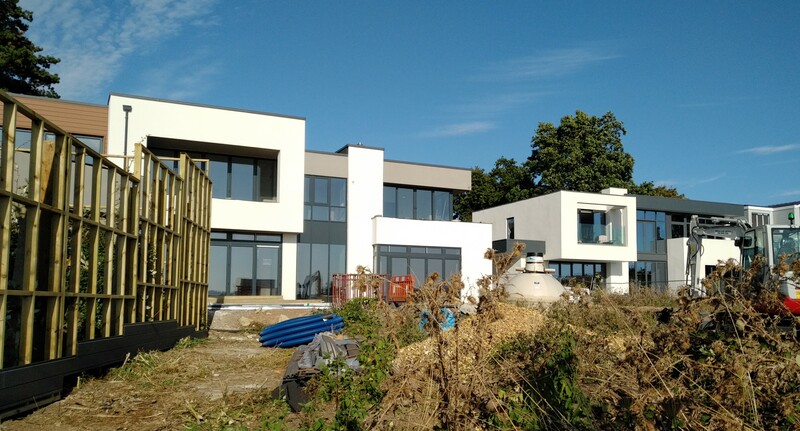 Studio Four Specialist Projects were appointed to technically design and run a new build house project on site in Dorset. This Listed Building, located on Sleeper’s Hill in Winchester, was designed by Ernest Newton RA – a leading Arts and Crafts Architect, who died in 1922.